Skylight Creative supports development for OpenSimulator. This is an open source multi-platform, multi-user 3D application server. It can be used to create a virtual environment (or world) which can be accessed through a variety of clients, on multiple protocols. It also has an optional facility (the Hypergrid) to allow users to visit other OpenSimulator installations across the web from their OpenSimulator installation. Out of the box, OpenSimulator can be used to simulate virtual environments similar to Second Life™, given that it supports the core of SL’s messaging protocol. 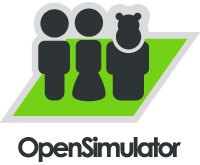 OpenSimulator aims to enable innovative feature development for virtual environments and the Metaverse at large.